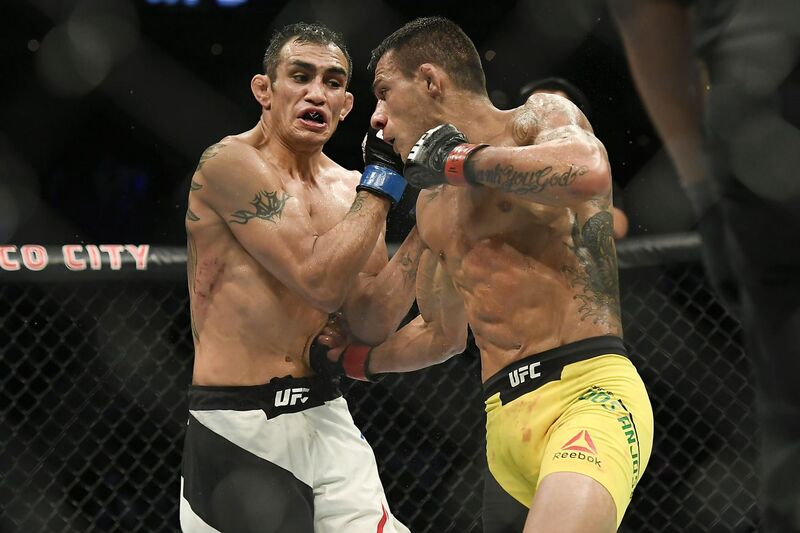 Former Ultimate Fighting Championship (UFC) lightweight champion Rafael dos Anjos looked to shake off his recent title loss to Eddie Alvarez this past July when he met surging veteran Tony Ferguson in the main event last night (Sat., Nov. 5, 2016) at UFC Fight Night 98 live on FOX Sports 1 from inside Arena Ciudad de México in Mexico City, Mexico. RDA, 32, was looking for his fifth win over a ranked opponent since 2014, while Ferguson, 32, was hoping to build on an already impressive eight-fight win streak. Let’s just say Ferguson had a lot of fun in this one. Whether he was blowing kisses to RDA at the end of each round or salsa dancing in front of the former champion, Ferguson felt in control at all times. Unfortunately for dos Anjos, that confidence translated to a whole lot of punishment. Ferguson landed a crippling knee in the fourth round, busted up the Brazilian’s left eye and launched all sorts of awkward elbows, spinning back fists and rolling leg locks. In turn, Ferguson captured the unanimous decision victory to become the first fighter in UFC lightweight history to win nine fights in a row. With this win, Ferguson moves right into position to challenge the winner of Eddie Alvarez vs. Conor McGregor at UFC 205 for the lightweight championship. He has been unstoppable since losing to Michael Johnson back in 2012. Khabib Nurmagomedov may have something to say about a potential title shot for “El Cucuy,” but Ferguson’s track record speaks for itself. For complete UFC Fight Night 98 results and coverage click here.